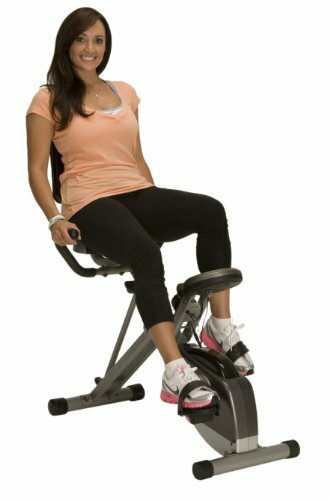 5 Best Folding Exercise Bikes - Upright and Recumbent Bikes Included! 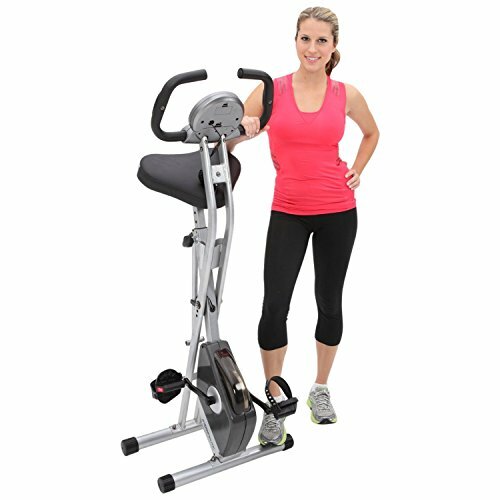 7 Best Folding Exercise Bikes – Upright and Recumbent Bikes Included! If you are looking for some of the best folding exercise bikes, this post is for you. Purchasing a fully-fledged spin bike demands more space to be placed in your home. If you have limited space in your home to place the exercise bike, the folding exercise bikes I'm going to mention in this post will help you. These bikes also help you if you have a semi-nomadic lifestyle or want to store the bike in compact space when not in use. Suppose if you are planning to have a home gym in a limited space, and would like to dedicate little space for your exercise bike, this post will delight you. There are a plethora of folding bikes you can choose from in the market. The types of folding bikes range from 100 bucks to several thousands of bucks. They may be upright or recumbent bikes. There are also plenty of folding spin bikes with lightweight flywheel. It's easy to get overwhelmed by the wide range of folding bike options available. This section will help you choose the best folding bike for your money. Here are some of the things you need to consider before getting a folding bike. Upright bikes are the most available type of folding bikes in the market. This type of bikes is only meant for light to moderate use. They are not meant for hill climb training. While riding these bikes, the backbone will be in an upright posture. You can't lean front and ride these. In Spin Bikes, a large flywheel will be rotating as you pedal. The presence of the actual wheel enables you to experience the real bicycle riding experience. 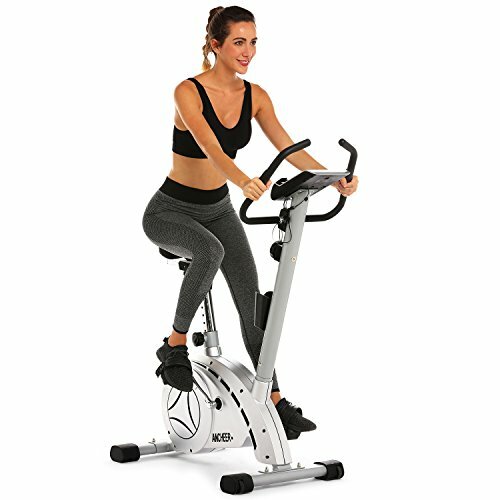 Some good spin bikes can be used for tough workouts and are used by runners for training. You see this kind of bikes in most of the gyms. Recumbent bikes are the easiest type of bikes to ride. The seat will be like a regular chair giving support to the backbone, making it the best exercise bike to be used by seniors and comfy-lovers. It is also helpful for people with back pain. Some of the foldable bikes have a light weight bearing capacity. Because they are also meant to be portable. Nevertheless, some of the folding bikes are solid enough to handle heavy weights. The exercise bikes have the maximum weight support written in their specifications. You need to take a look at the specs before deciding to buy the bike. Although some of the bikes can support your weight, it would cause wear and tear on the bike and thus affects the durability. So, yes, it's worthwhile to make sure that the bike withstands your weight comfortably. Most of the folding exercise bikes can bear weight up to 300lbs, and it won't be a problem if you are below it. Considering all the aspects I've explained above, I've thoroughly researched some of the best folding exercise bikes that you can get today that is worth the money. Here we go. This is the best upright bike that is foldable and costs you under $150. Considering the price, the bike is excellent. The design of the bike is excellent. It can hold the weight up to 300 lbs due to the x-frame design. This is great considering this bike to be foldable. Unlike other bikes in this range, this exercise bike is driven by a belt. This means less sound and maintenance free. The bike folds to half of its setup size, which makes it compact to store when not in use. The bike also includes transportation wheels that make the relocation of the bike easier. The resistance mechanism is magnetic, that means there will be no wear and tear on the brake pads. The magnetic tension system includes 8 levels, which enables you to do varied intensity workouts. This bike also includes a pulse rate monitoring system. This is one of the less seen features in an entry-level bike like this. The handlebars contain sensors that monitor your pulse rate and reports the heartbeat rate. The bike contains an LCD that shows the time, calories burnt, distance, speed, and also the heartbeat monitoring. The pedal design is excellent as they are large with safety straps that ensure that your legs won't slip while working out. The only downside of this kind of upright bicycles is that this is not suitable for intense workouts. You can't expect the intensity of the workouts you get from spin bikes with these. This is one of the most amazing feature-rich, yet folding bike I've encountered. The greatest feature with this bike is the universal mobile/tablet holder. This enables you to use your digital devices even while you workout. If you are a kind of a person who rides this on for hours, this may be helpful. The seat is also thickly padded and adjustable both vertically and horizontally. 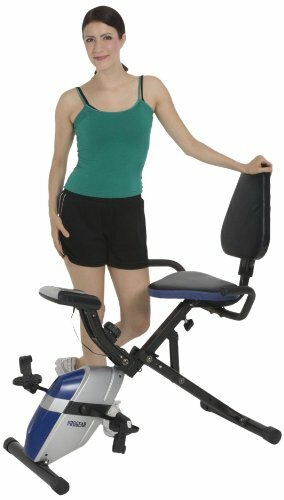 It also comes with backrest that adds to the comfort during long sessions of the workout. This is helpful if you are a comfy-lover. However, it can't offer superior comfort like that of recumbent bikes. The handlebar tracks the pulse. The pulse rate, time, distance, and the calories burnt will be displayed on the LCD. This is great to keep you motivated during workouts. The steel frame is pretty solid, and this bike seems durable. The weight limit for this bike is 250 lbs, which is quite suitable for normal people. The resistance mechanism is magnetic, with 8 levels of varied intensity. The bike is silent even while riding with top resistance. This bike also comes with an x-frame design that enables you to fold the bike and store compactly even under your bed. The cycle can handle 250lbs of weight, however people heavier than 250lbs need to look somewhere else (like spin bikes). The upright foldable bikes are meant for light use and not for heavy workouts. This bike does come with a display and displays the calories burnt, distance, time and others. But there's no ability within the system to track or display the heartbeat rate. However, for most of them, this isn't a disappointment at all. The magnetic resistance and the belt drive enables this bike to be noiseless. There are 8 levels of magnetic resistance control. At higher levels, you need to pedal stronger for the bike to be driven. Although the seat is thickly padded, the seat is pretty uncomfortable. As you may already know this is the issue with most of the exercise bikes. No single seat is a fit for all! You may consider getting a gel seat cover to solve this issue. If you are looking for a compact bike which is very light and silent, Marcy won't disappoint you. This bike is quite heavier than other bikes I mentioned in this post. But the construction is quite solid. The maximum weight that this bike can handle is 220 lbs; this is low if you are heavy. The bike folds flat elegantly than any other bikes I mentioned. When it comes to the compactness of storage, this bike wins above all. The seat is quite high for shorter people even at lowest height setting. If you are a short person below 5.2', you may find riding the bike uncomfortable. When it comes to the workout, the resistance is magnetic with 8 levels. This kind of magnetic resistance mechanism makes the bike to make no noise at all while driving. The seat is pretty hard to drive these on for hours. You can consider replacing the seat with a good one like Zacro Gel Bike Seat. Adding a gel cover to the stock seat doesn't make any great difference regarding the poor comfortability caused by the hardness of the seat. The bike also comes with an LCD that displays you all the essential information like time, distance, and calories burnt. But it has no heartbeat tracking mechanism like that of Exerpeutic Folding Bike (our top pick). This is the best semi-recumbent bike from that's foldable too! The bike is built solid is a steel frame. The bike is lightweight and also folds compactly. However, once you unfold it and place it on the ground while working out, the bike is very sturdy. You'll not feel any kind of rockiness while working out on a plain ground. The bike supports up to 300 lbs of weight, which is great than that of most of the upright folding bikes. This bike seems greatly comfortable for short people. However, people who are taller than 6' or above, may find the bike to be too small for them. The resistance mechanism is magnetic. There are 8 levels of resistance, which you can set by turning the knob according to the marked readings. This setting enables you to vary the difficultness of your workout. The pedals are in front of you, without causing too much pressure on legs and knees. The people with joint issues find it easy to workout with this bike. The bike also comes with a hand pulse sensors and the large LCD. The display does a great job of displaying calories burnt, time, distance, speed, and heartbeat rate. As the drive is through the v-belt mechanism, the bike makes no sound while working out. It's super-quiet. The bike is sturdy enough for your everyday workouts. Like that of other exercise bikes I mentioned in this post, this bike also doesn't come with levelers. Due to this, the bike needs to be used only on the ground that is flat enough to prevent wobbliness. As per the description of the product, the bike is suitable for people ranging from 5 ft 2 ins and 6 ft 2 ins. This is great if you are planning to share this bike for the workout with other people. This bike comes with magnetic resistance. As you turn the knob clockwise, the magnets move closer to the internal wheel, causing the difficultness of the workout to increase. Due to this magnetic mechanism, the bike is silent while working out. The seat is thickly padded, and also the backrest of this incumbent bike is very comfort. For increased comfort, you can anyway add a gel cover. Nevertheless, the comfort is better than any other upright or spin bikes. It comes with an LCD which displays the time, distance, calories burnt and also the heart rate. The console displays single metric at a time; you need to keep clicking the "mode" button to change the metrics. The display needs 2 AAA batteries to work. The battery lasts for several months if you workout for an hour daily. The handlebar contains pulse sensors which track your pulse rate as long as you have hands on the sensors. The pedals are large and have safety straps to prevent legs from slipping away while working out. This is one of the best semi-recumbent exercise bikes you can get for the price. The first thing that attracted me in this bike is its solid x-frame design. The bike has the weight capacity of 400 lbs, which is quite uncommon to see in the case of folding exercise bikes. The bike folds half of its size and can be easily hidden under your bed or so. As the seat height is adjustable like other bikes I reviewed, the bike is suitable for people between the heights of 4'11'' to 6'3''. The 7 level magnetic tension enables you to do various intensity workouts easily. The bike is silent like other magnetic exercise bikes in this range. The bike also comes with an LCD that displays all the essential data including the heartbeat data. However, according to some users, the console stops working from time to time. The data is also not fully accurate. This is expected in the case of cheap folding exercise bikes like this one. The seat is padded thickly with memory foam. It offers great comfort while working out. The pedals come with adjustable foot straps that make your workout hassle-free. These are some of the best folding exercise bikes that you can get for the price. Please do note that the folding exercise bikes (that too upright and recumbent) are not meant for heavy workouts. If you are looking for intense workouts, you may look for some spin bikes that typically are not foldable. These folding bikes are suitable if you just like to be healthy and are not a fitness freak. Hope you loved the blog post.